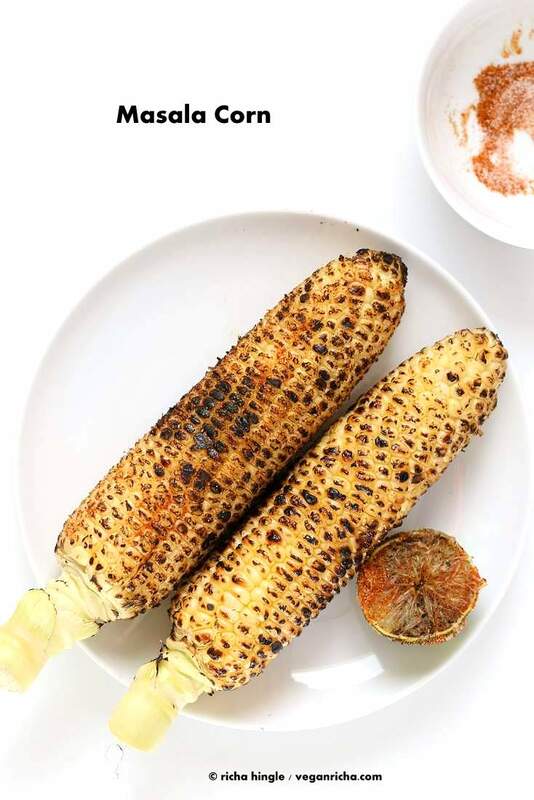 Indian Roasted Corn on the cob – Street style Butta or Bhutta Recipe with lime juice, red chili powder, ground cumin and chaat masala. Easy BBQ side. Summer corn recipe. 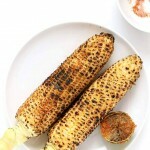 Masala Butta or Spiced fire roasted corn on the cob is a favorite street snack in India when corn is in season. 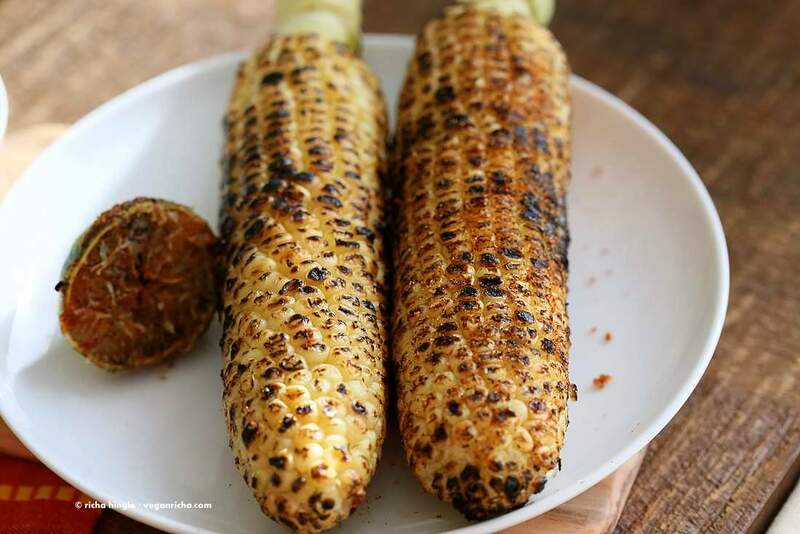 Street vendors roast the corn on coal fire or open grill, use a lime to rub in the Indian spices and serve it hot. People can be seen walking around with the corn in hand. (dry mango powder). Or rub Mint cilantro chutney all over! 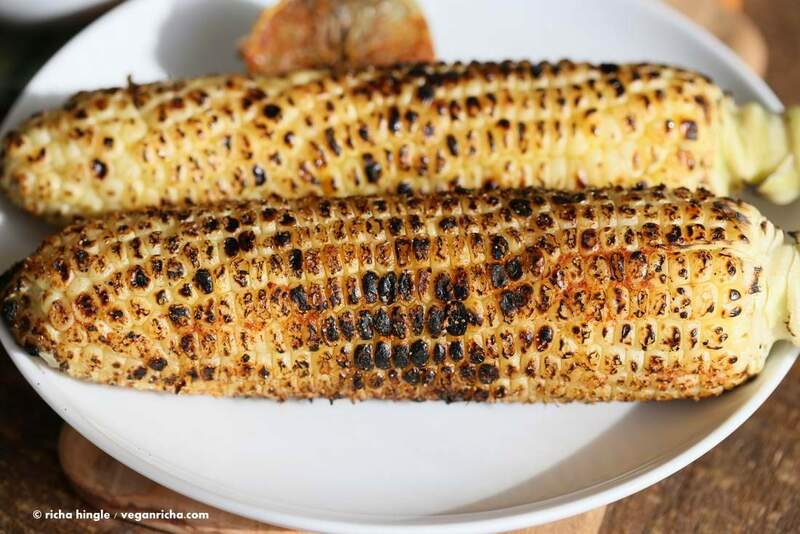 Try this favorite spiced corn for Labor day! 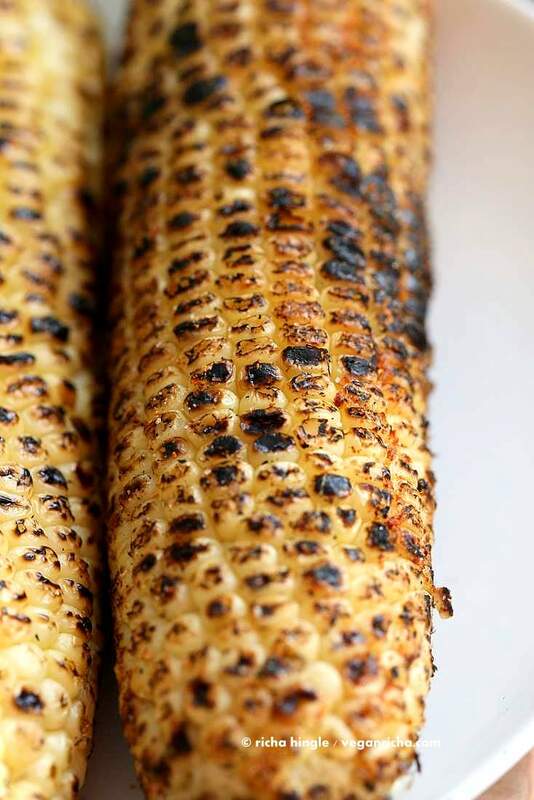 In the below picture, the front corn has been rubbed with the spices. What an awesome flavor combination! Can’t wait to try this recipe out this Labor Day weekend! Lovely! My culture rubs similar spices to roasted corn, too. Whoa, I have to try this! I love grilled roasted corn, but I don’t own a grill myself. I wonder if I could try roasting corn over my gas stove? I know you mentioned an “open gas flame” in the recipe. I’m not sure if a stovetop will work, but I think I’m going to give it a go! i grill mine on the stove gas flame!